The operation began Tuesday, September 23 around 3:30 a.m. local time (8:30 p.m. ET Monday) with a series of Tomahawk missiles launched from U.S. Navy ships, followed by attacks from bomber and fighter aircraft. The first strikes, conducted independently by the United States, hit targets west of Aleppo against the Khorasan Group. Khorasan is a splinter al Qaeda group actively plotting against a U.S. homeland target and Western targets, a senior U.S. official told CNN on Tuesday. Arab partners then joined U.S. forces to conduct two waves of airstrikes against ISIS targets, focusing on the city of Raqqa, the declared capital of ISIS' self-proclaimed Islamic State. Areas to the east were also hit. 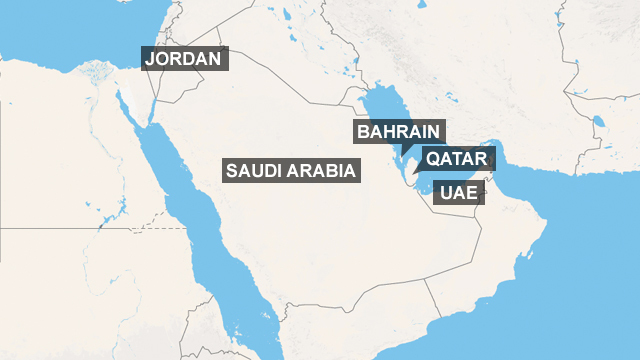 Bahrain, Jordan, Qatar, Saudi Arabia, and the United Arab Emirates (UAE) all assisted with the operation against ISIS, the U.S. military said. In all, 200 pieces of ordnance were dropped by coalition members, and four dozen aircraft were used, a U.S. official told CNN. About 150 of the munitions used were precision-guided. The United States fired 47 Tomahawk missiles, eight of them against Khorasan targets.